kemi adetiba king of boys. Kemi Adetiba’s second film, King Of Boys has been getting super reviews since it premiered last week. The movie has gone on to break records. 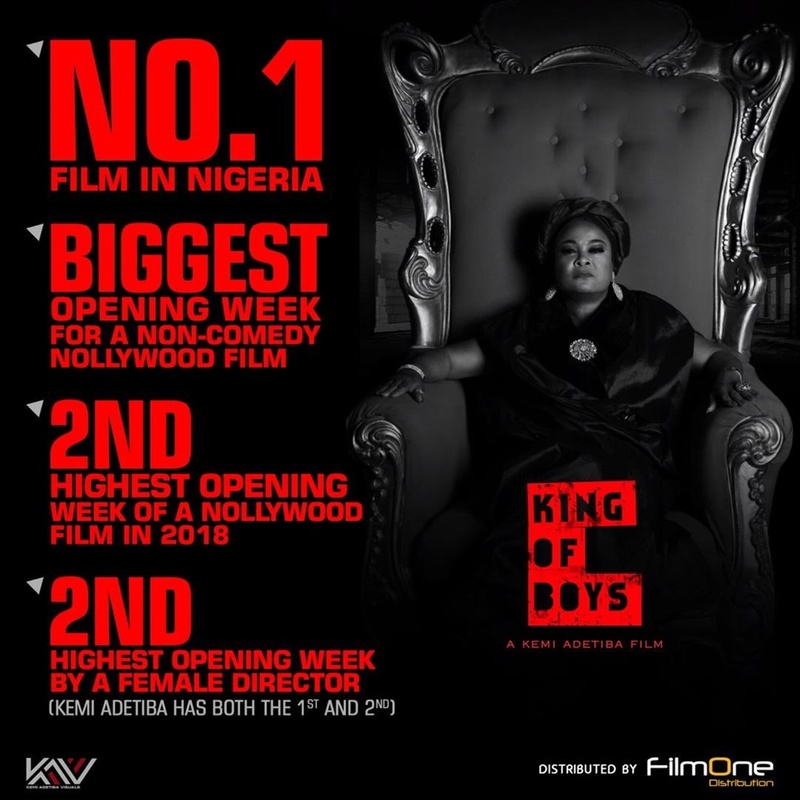 King Of Boys has the biggest opening week for a non-comedy Nollywood film. In addition to this, King Of Boys also had the second highest opening week in 2018, and the second highest ever by a female director. Kemi Adetiba seems to have built on the successes of her debut directorial role on The Wedding Party which shattered many records and is still the second highest grossing film in the history of Nollywood after Wedding Party 2. King Of Boys tells the story of Alhaja Eniola Salami (Sola Sobowale), a businesswoman with a checkered past and a promising political future. As her ambitions see her outgrowing the underworld connections responsible for her wealth, she’s drawn into a power struggle that threatens everything she holds dear.